After winning the local San Juan Capistrano Rotary Club speech contest, sophomore James Brady continued on to the District semi-finals at Orange Coast Community College. Brady was one of two semi-finalists chosen to go on to the District finals to be held April 20 in Long Beach. This year’s theme is “Peace Through Service,” Brady’s speech discussed his mission trip to Piura, Peru as a freshman with the JSerra Peru Club. 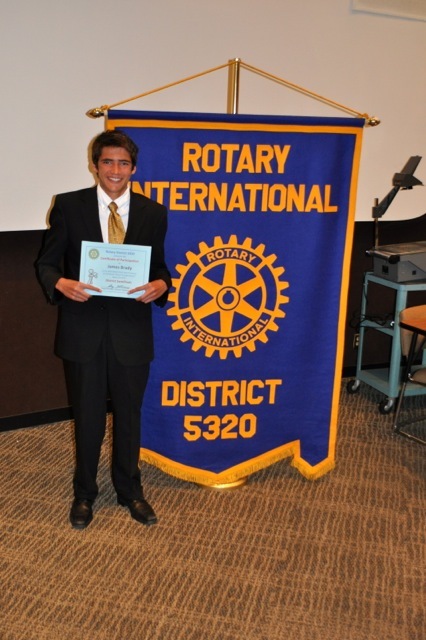 Congratulations to Michael Elsinadi who placed second at the Rotary Club speech contest.